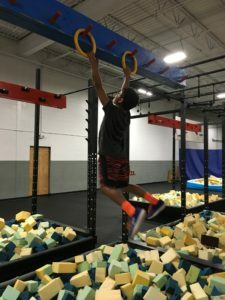 Young ninja class is a great class for kid looking to have a fun time and keep active. The class is designed for kids 12 and under. We start the class with a structured warm up and work on various skills and footwork that one might need to become a ninja! Next we work on various obstacles under the guidance of a trainer. To add to the fun we play a competitive game with the class! This is a great class for any kid to keep active and even help them with sports if they have aspirations to play in the future.